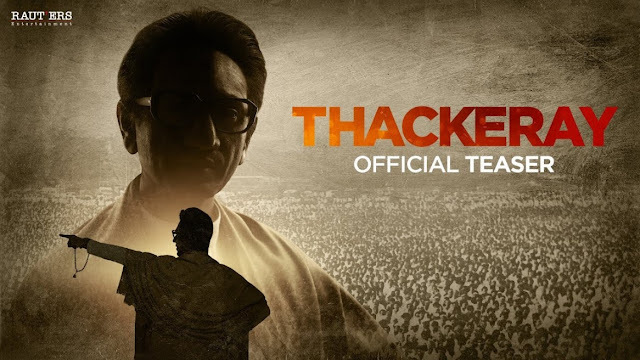 Thackeray Trailer Released Nawazuddin Siddiqui Has Played The Role Of Shiv Sena founder: The movie 'Thackeray' trailer was released on Wednesday. Nawazuddin Siddiqui, one of the few outstanding actors of the country, played the role of the founder of Shiv Sena in the film, Balasaheb Thackeray. On seeing the trailer, you know how great Nawazuddin has done in the role of this former supremo role. Let me tell you that the Shiv Sena had expressed many objections to this film. The censor board has also instructed to remove some of the dialogues of the film. The trailer of Thackeray's trailer is a total of 2 minutes and 54 seconds. In this 2 minutes 54-second trailer you will see a glimpse of the many things related to Bal Thackeray's life. Because the whole truth of them will be able to come out only after the film is released. How did Thackeray make Shivsena, what was their struggle and inspiration? What was his thinking about Hindutva? What was his statement about Jai Hind and Jai Maharashtra? Why did he talk about Marathi Manus? And in the last, why did they become against the cricket relations between India and Pakistan? All these things you see as a glimpse in this trailer. In one scene, he says to Javed Miandad: - Remember your Siksar on the last ball. it was good. But, it is not good that I forget the pain of families who are martyred on the border. Only newcomers are seen in the trailer because they are playing lead roles in Thackeray. Their make-up is amazing. The special thing is the tone of their speaking. There is also mention of the demolition scene of the Babri Masjid. In it, he says - When there was a mosque, there was Ramlala. It is different to see that Nawazuddin has tried to keep Bal Thackeray's character alive and passionately. Now how successful they are, it will be known only after the release of the film. In the film, Amrita Rao played Bal Thackeray's wife Meena Tai. Thackeray will be released on January 25, 2019. The movie has been directed by Abhijit Panse. While its writer Shivsena's member Sanjay Raut is This is the third biopic of Nawazuddin after Dashrath Manjhi, Saadat Hasan Manto. In which he has seen any real-life character playing on the screen.